During the 2019 Academy Awards, one of the event luxury seats was occupied by Yalitza Aparicio, the first Indigenous Mexican woman to be nominated for best actress for her role as a nanny in Roma. This semi-biographical film honouring the director’s nanny Libowon won Best Director at the Awards. The black-and-white story narrated in Spanish captured international attention for portraying the reality of nannies who leave their families back home to take care of the children of other families. “I had to work many hours. They didn’t pay me extra time. I wasn´t treated well. 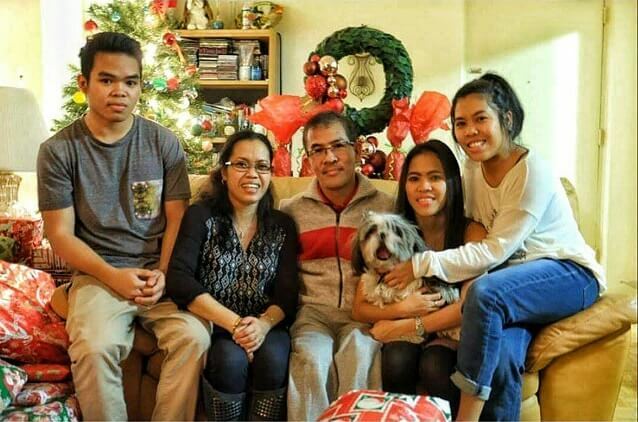 I was scared and felt isolated,” says Maria Sol Pajadura, who 10 years ago left her three children with her husband in the Philippines to come to Canada as part of the federal Live-in Caregiver Program (LCP). To avoid abuse and maltreatment, Pajadura changed from one family to another, even though this affected her permanent resident process, increasing it to 3 years from the usual 2. She was not allowed to bring her family with her. In five years, she saw them just once. Pajadura was a teacher in the Philippines, a domestic helper in Hong Kong and nanny in Canada. “The contract is for taking care of the children, not to clean the toilet or wash the clothes (which she did). Roma situation is being replicated in Canada as modern slavery,” she argues. Cuban educator Mercedes Perez Calvo came from Havana in 2005 under the Caregivers Program, with the invitation of a Canadian tourist who met her in Cuba. She left her family behind for a monthly payment of $1,075 (including reductions for housing and food). Her contract stated that she had to work 40 hours a week. However, “The reality is that we work more hours,” she explains. Calvo worked with three families to complete the requirement of two years of employment in Canada to apply for permanent residence. “Working as a nanny is not just taking care of the kids. It is cooking, bringing them to the school and sports activities, helping them with the homework, buying groceries, cleaning the house. It is like we are the mom. But a lot of work can reach conditions of slavery,” said the now-infant educator and mother of three. “For 2-3 years we have to do all the extra jobs because we depend on (the employer). We don’t have a family. We are in our own,” Calvo added. 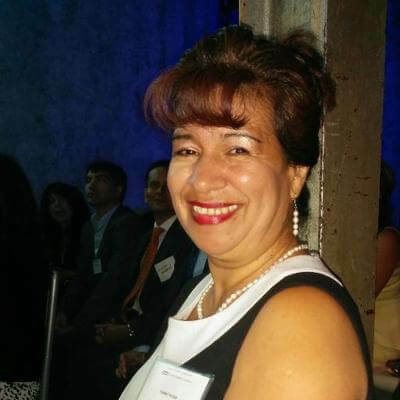 In 2004 Colombian Marleny Samboni left her small town of Isnos, in Huila province, to look after the two children of a diplomat in Toronto. Two years later, she had the opportunity to be sponsored by a Canadian family under the Live-in Caregiver Program. For $1,300 a month, less a small amount for food and room, Samboni took care of two babies, similarly to the character Cleo in Roma. An average of 8,000 new Care Worker permits were issued annually in the last five years. 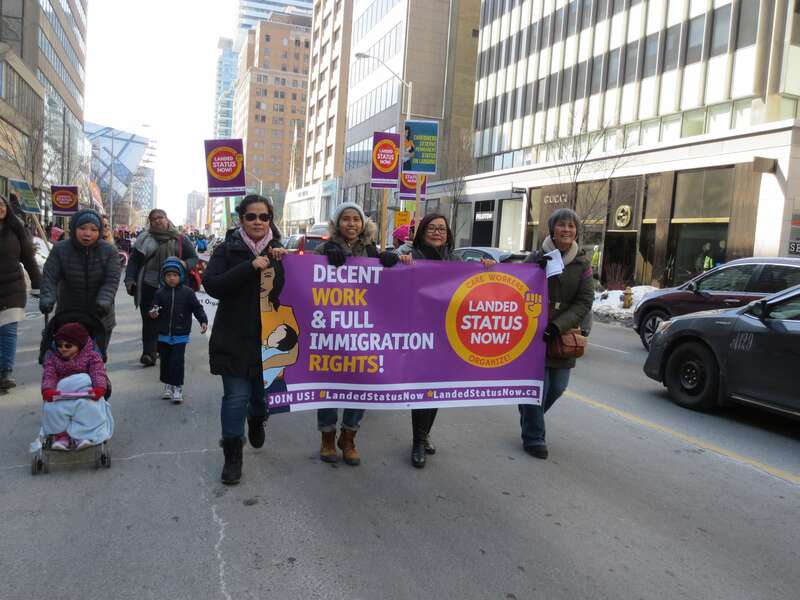 All of these were employer-specific work permits that disallowed workers from bringing their families and gave only temporary resident status, states the Caregivers Action Centre (CAC), which launched with other migrant care worker organizations a campaign called Landed Status Now. At least 20,000 care workers have applied for permanent residency and are awaiting a decision on their application, adds CAC. Last February, Immigration Minister Ahmed Hussen announced two new five-year caregiver immigration pilot programs that would allow caregivers to come to Canada together with their families and provide a pathway to permanent residence. The federal government launched the Interim Pathway for Caregivers, open from 4 March to 4 June, 2019. “This interim program is being launched after hearing directly from caregivers and interested parties that the previous changes made in 2014 were not well understood. Many caregivers began working for families in Canada, only to find out later that they were not going to qualify for permanent residence under an existing program,” states the Ministry of Immigration in a February press release. The Minister highlighted that in 2017 the government committed to eliminate 80% of the caregiver backlog and reducing the processing time from its peak of more than 60 months wait time. To date, “the government has reduced 94% of the backlog and reduced the processing time to 12 months.” according to a released statement. In an interview for New Canadian Media, MP Julie Dzerowicz explained that the federal government identified two main problems that caregivers from abroad were facing: the long process to become a permanent residence, and the difficulties involved in bringing their families. Pajadura now works as an early childhood educator in a day-care and is the chairperson of Migrante Canada, a chapter of Migrante International. Her fight is to demand better labour conditions for nannies. Migrant care workers organizations and allies from across Canada insist that the temporariness of the caregivers program continues to allow for migrant care worker exploitation. As a remedy to this situation,they ask for permanent resident status on arrival for migrant workers. Isabel is a Toronto-based journalist and a member of the NCM Collective.